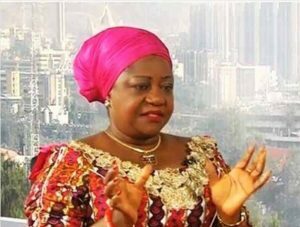 Special Assistant to President Muhammadu Buhari on New Media, Lauretta Onochie has said former Vice President, Atiku Abubakar does not have the popularity to win in his own local government. Onochie said this while speaking on Politics Today on Channels TV. Atiku had resigned from the party, stating that it was dying. The former Vice-President was quoted saying he would definitely beat Buhari this time. Onochie said, “Atiku may have had that weight some years ago but over the years he’s been losing that weight and at the moment, I can tell you the even in his local government area in his native Adamawa, he can’t win any election.